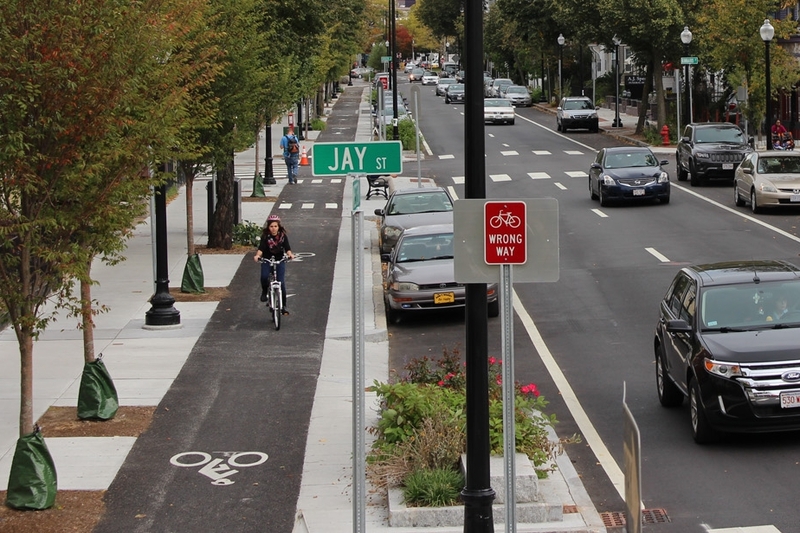 Bringing new life and activity to historic Quincy, Hancock Adams Common is poised to become a focal point for the city with its new activated park and streetscape that connects cyclists and pedestrians to the bustling downtown. 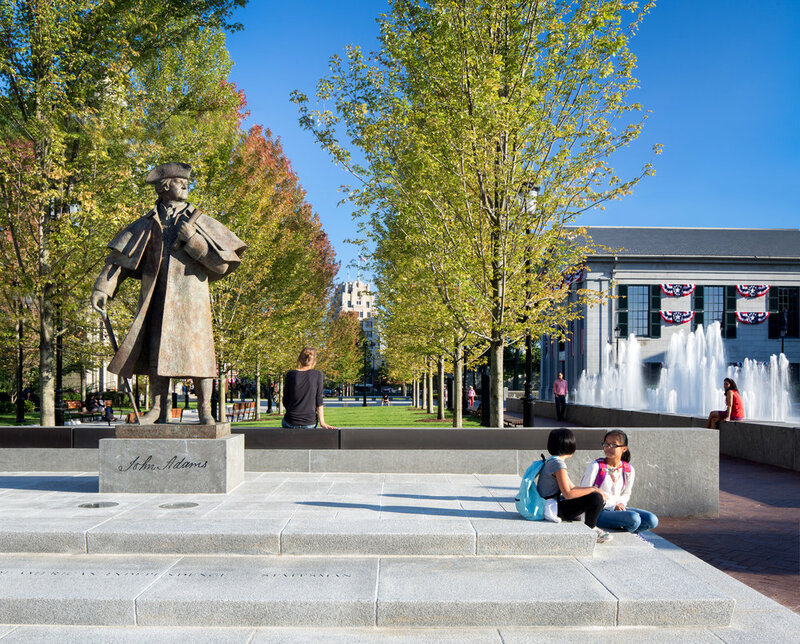 Contemporary water features and elegant materials establish a celebratory ground that commemorates the town’s national renown as the birthplace and home of two American presidents. 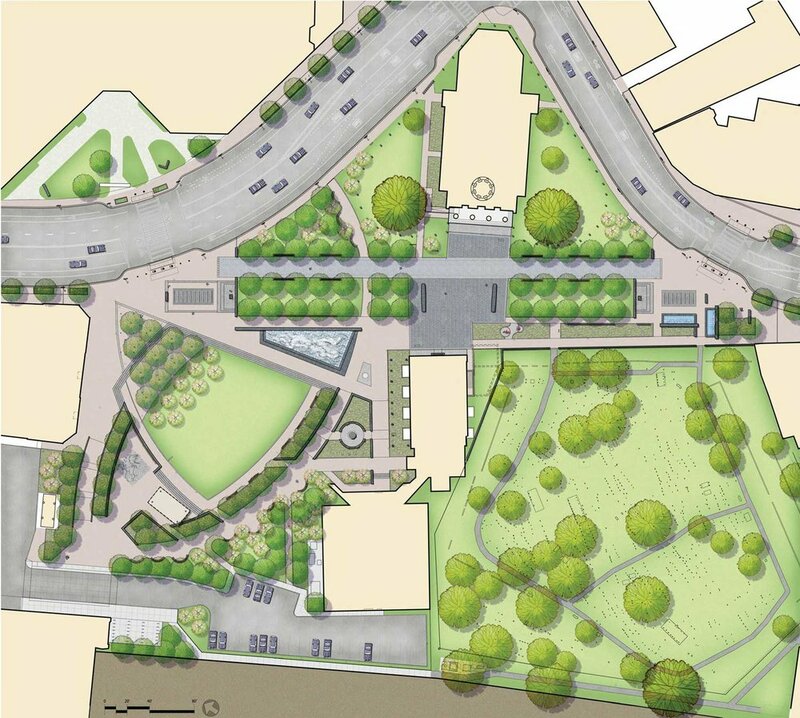 The ambitious park design includes realignment of the urban fabric, including reconstruction of two major streets, to develop an integrated vision for the park and surrounding historic downtown. 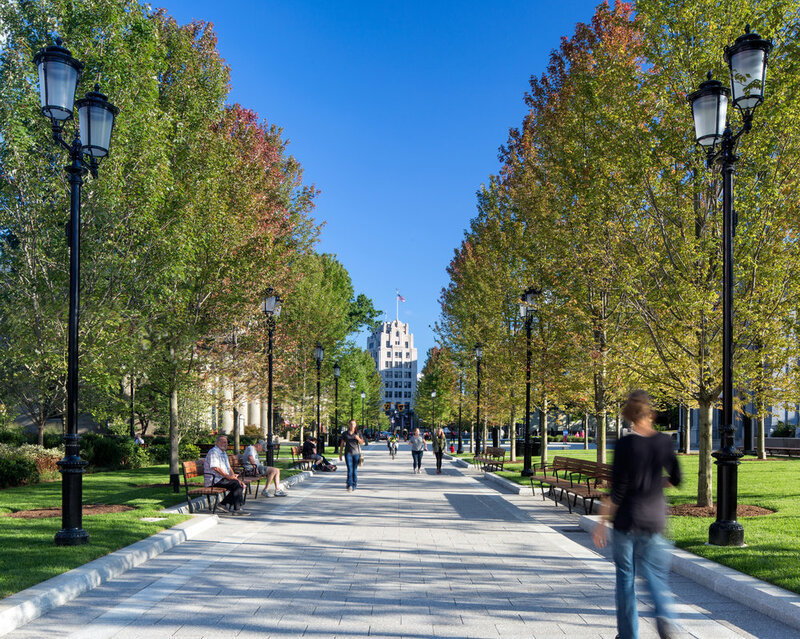 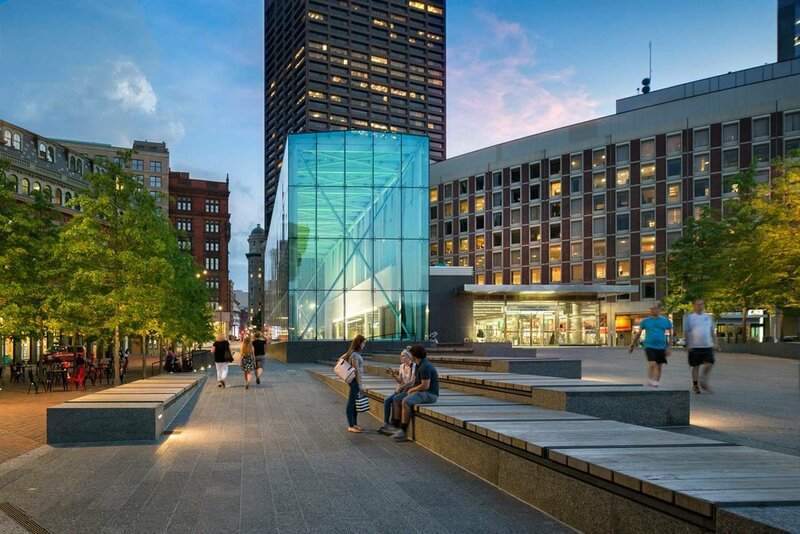 The transformation of Hancock Street introduces a tree-lined promenade that creates an attractive setting for three of the city’s most important historic sites: United First Parish Church, Old City Hall and Hancock Cemetery.